The hot, and wet weather we have “enjoyed” lately have been great for plants and perhaps better for fungi. Various, mostly unattractive, ‘shrooms have been popping up in the garden mulch. 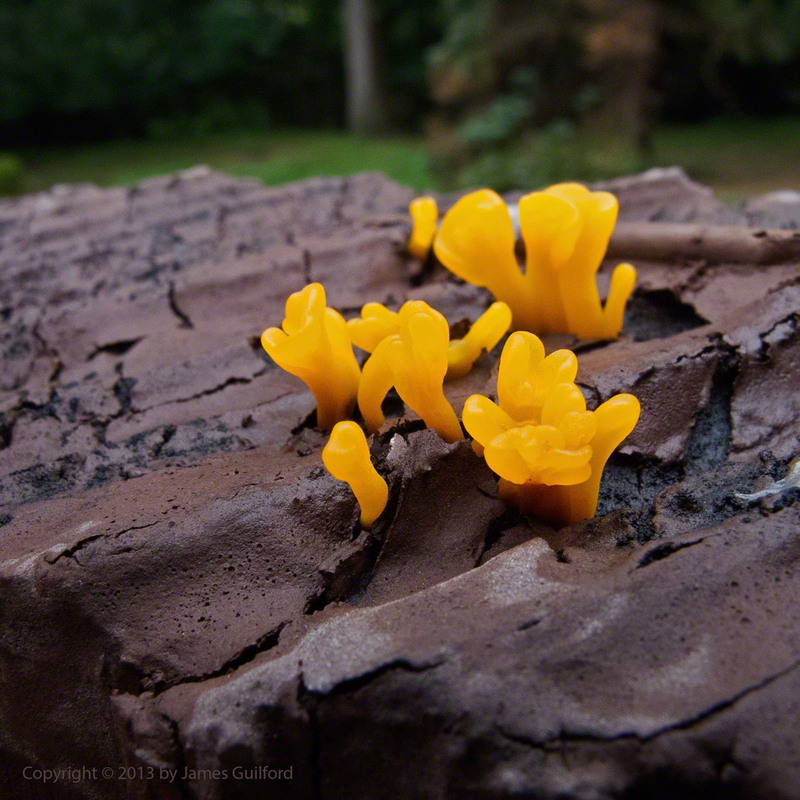 What caught my eye this morning, however, was a tiny garden — really tiny — of bright orange fungi sprouting from the top of a fencepost outside our door. I grabbed my little PowerShot G11 and clicked off a few macro shots of the little wonders before we took off for some grocery shopping. Returning about an hour later, I took another look at the object of my attention; they were withered and sad looking. I suspect they’ll show themselves again since the little growths are only the tops of fungus that runs deeper into the seams of the wooden post.